Oracle’s SOA tools are a part of Oracle Fusion Middleware. 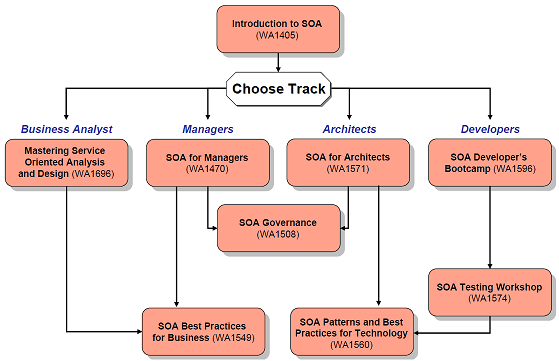 The core SOA stack is the Oracle SOA Suite. These tools include a Service Bus, Mediator, Rules Engine, Workflow Management, and more. These curriculum tracks will prepare your team to use these tools. Click anywhere on image to view as pdf.